Don't stay here. Just awful. 1. staff is not helpful. They didn't book the day before and still didn't let us check in earlier then 4pm. 3. Not as close to lake as appears. Much better options exist. I felt totally ripped off. Thank you for sharing your story. I see you filled out a Guest Stay Concern form and reported "Old Furniture, Broken Items, missing screen, and possibly dirty linens." I personally responded to your Guest Stay Concern. I can tell you Big Bear Vacations cares very much about your experience. Every single home has fresh clean bed linens exchanged every time. 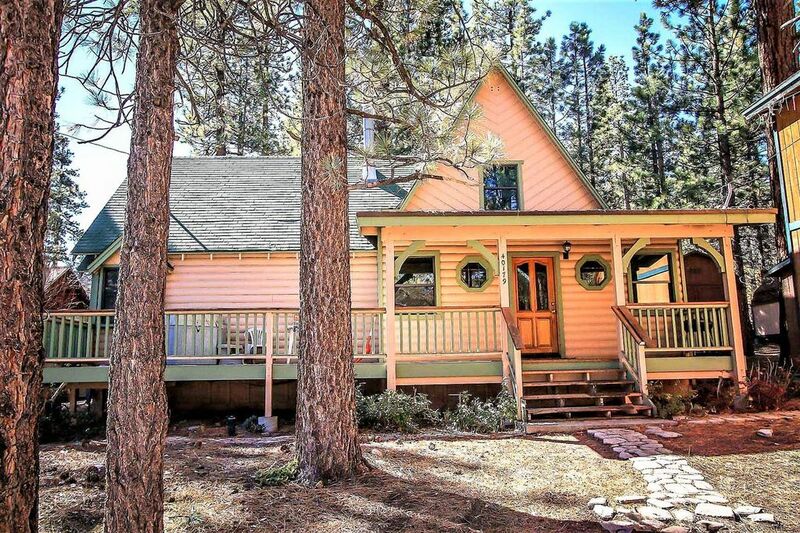 Since this home is not a luxury home you may find wear and tear - that is natural in a regular mountain cabin. Of course Big Bear Vacations can not replace furniture without Owner approval - so there was only so much we could do with that information - and city ordinance only requires screens in bedrooms. As a company we responded to your concern with great compassion and offered 20% off a future stay. We would love to have you back and truly believe we can earn a better rating. It was just not the right cabin choice! We have over 300 properties to choose from and believe a better stay is possible in the future. Overall stay was okay...stayed here for a week with my husband and kids. Kitchen pots and pans need updating. Master bed needs a new mattress...it felt like I was sleeping in a hole each night. Some maintenance needs to be done to the cabin like tightening door knobs, kitchen table legs and chairs, and adding more lighting by the kitchen table. A broom or vacuum would have been nice since the entire downstairs is carpet except the kitchen and baths. We called for housekeeping like 5 times and they never showed up.